This USB OTG device allows you to connect USB devices directly to your tablet. 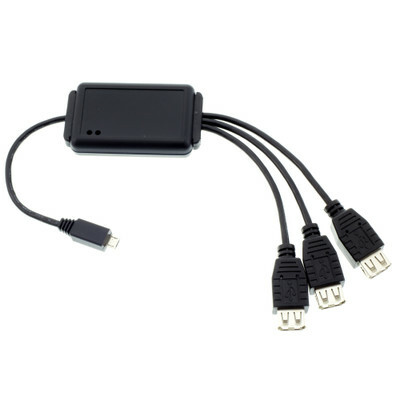 This cable comes with three USB "Type A" USB connectors on one end, and a Micro USB on the other side. This is compatible with Asus, Google Nexus 7, Samsung Galaxy S III and the Galaxy Nexus.